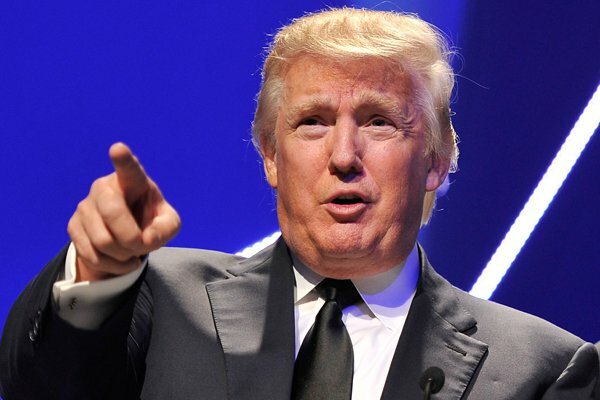 WASHINGTON - President Donald Trump threatened yesterday to slap tariffs on all of the Chinese goods imported into the United States, ramping up the already tense trade relations with Beijing. The US has punitive tariffs on $50 billion in Chinese goods already in place, and another $200 billion "in the hopper" that Trump said "could take place very soon." But he told reporters travelling with him to Fargo, North Dakota that "behind that, there's another $267 billion ready to go on short notice if I want." That would cover virtually all the goods imported from the world's second largest economy. "That totally changes the equation," Trump said. His comments contradict the more diplomatic remarks earlier yesterday from his top economic adviser Larry Kudlow who said talks with Beijing are continuing to try to defuse the conflict, and that he was hopeful that a solution could be found. "China, right now, is a far bigger problem," Trump said. "I'm being strong on China because I have to be." The deadline for public comment on the next wave of punitive taxes on $200 billion of annual imports from China expired Thursday, so Trump could impose the tariffs immediately. He previously had threatened to hit 100 percent of imports from China if the country failed to address US concerns over alleged theft of US technology and barriers to American goods and investments. Trump has had Beijing in his crosshairs since he took office, and has applied increasing pressure to try to convince it to change its policies, allow more imports and reduce the $335-billion US trade deficit with China. China so far has retaliated dollar-for-dollar with tariffs of its own on US goods, but since it imports less than $200 billion a year from the United States, it has run out of room to match the US. But businesses warn there are other ways China can strike back, through regulations and other administrative means.